Media Bundle Pack features two products in one. Using AeroPlayer is very simple. The first thing you have to do is to run the application, and create your own tracklist by going to the settings tab, and clicking the ‘choose’ button next to each of the text boxes. 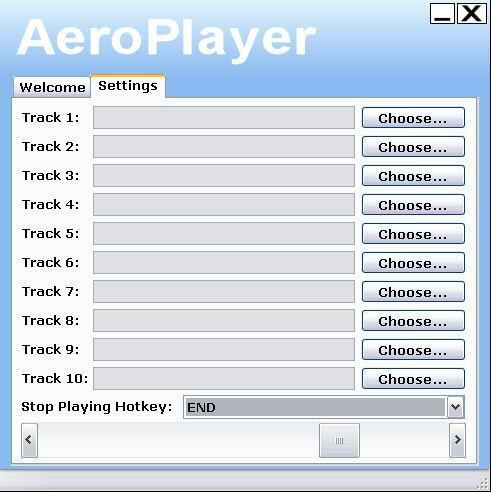 Aeroplayer is a must have, because it saves you frame rates, compared when using other media players, such as Winamp, and Windows Media Player. Aeroplayer is ideal for playing music as you soar the sky or as you play Ship Simulator 2008 or any other PC game for that mather. AeroPlayer comes with a built in update checker. ‘Check for Updates’ found at the welcome tab in the top right corner. Aeroplayer runs in the background of your games, so start Aeroplayer before you start playing your games. Aeroshot is a game screen capturing tool, which captures screenshots of your FS2004 and FSX experience. Aeroshot also works with any other PC game out there. All you have to do is press Print Screen ''key'' on your keyboard, and it will capture and save your screenshots to your chosen autosave directory and format. You can even add a text watermark to your screenshots. Aeroshot saves you the time of pausing flight simulator, minimizing it, opening paint, pasting it, and saving it. FSX uses BMP files when taking screenshots by default. FSX uses several near 5 mb for each image captured files. With Aeroshot you will be able to save your images into four different files of your choosing in sizes as low as 99 KB in JPG format: This is ideal when taking several images of your game. GIF .PNG .BMP & JPG saving options. Sound plays after each successful capturing. 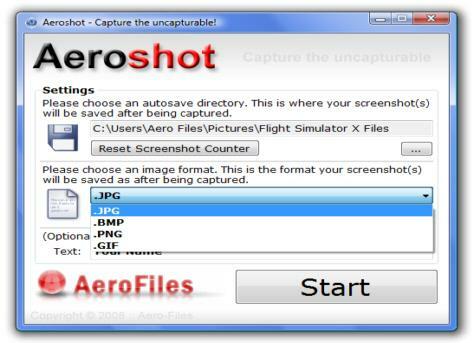 Capture the uncaptureable with Aeroshot!